What do you do when it rains on 4th of July? I had no idea. Growing up in California, it doesn’t rain in the summer time. Rain was never an issue for 4th of July celebrations. 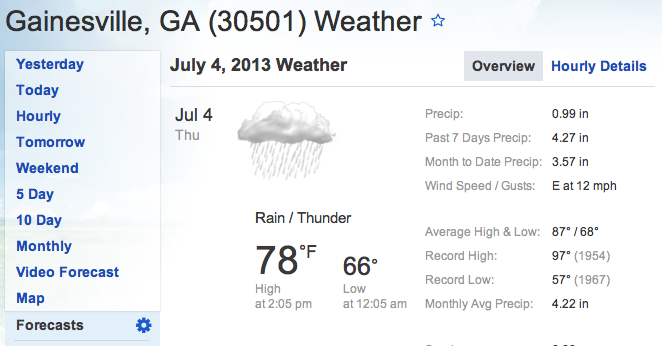 On July 3rd when weather.com affirmed it was supposed to pour buckets all day, our Georgia community volleyball/lake/BBQ party was cancelled, including the citywide firework show. Something had to give. I decided we could do something at my apartment. 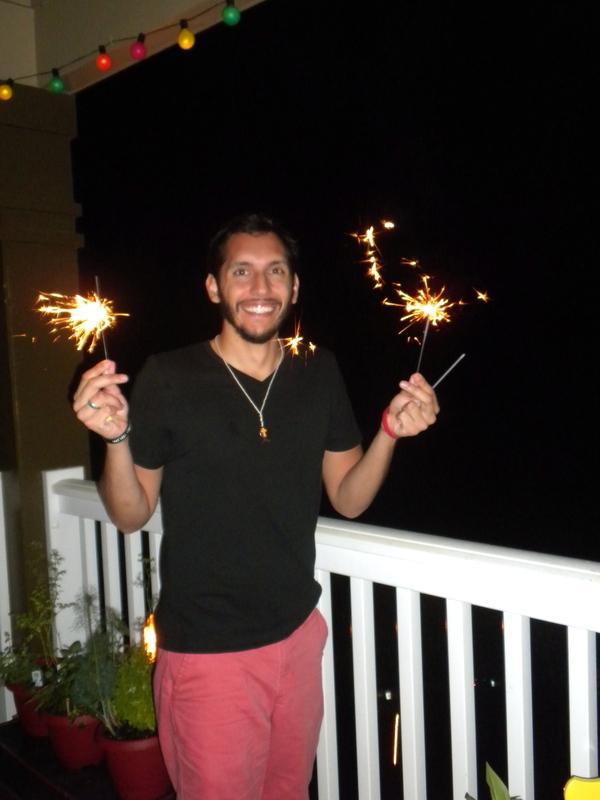 You can’t just NOT celebrate the 4th of July because of silly weather! 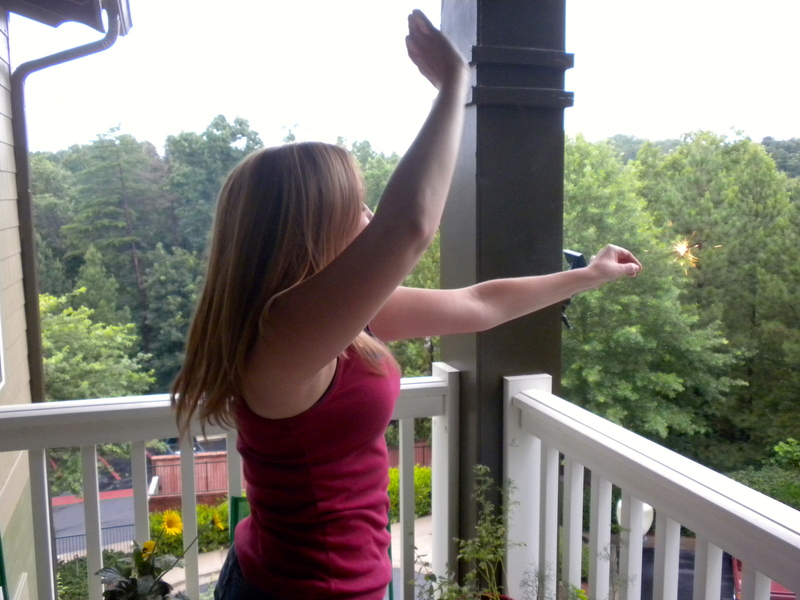 What happens when you give an open invite to your apartment for a rainy 4th of July with less than 24 hours notice? Make a plan and go for it. I might be a state-side missionary on a small income, but I have a small spot in my budget for such a time as this. If hospitality is on your list of gifts, you shouldn’t feel bad about making it a part of how you serve your friends! I only ended up spending 30 bucks. Here’s my two cents for anyone planning a last minute themed party on a limited budget. First thing I did was spend 15 minutes on pinterest, gathering a bunch of ideas. I like to get my mind flowing around all the possibilities! Don’t get overwhelmed. You won’t be able to do everything you find. Not even close. However, I find it most helpful to find a lot of ideas, then pick your favorites/easiest to pull off! Limit yourself to a certain amount of time, or you’ll just get lost in the abyss of the world wide web. Make a list of Food, Mood, Decorations, and Activities. These are the baseline of parties. Put a few things on each of these lists, decide what you can pull off in the time/budget you’ve got, then go for it. I literally went through my room and pulled out everything red, white, and blue I could find. You might be amazed at what you have lying around that can add just the right amount of flare to your decorations! I didn’t need to buy anything to decorate. Bam. Here are the results of our Rainy Day 4th of July! A little ribbon goes a long way! Is it weird I had these star danglies lying around? I had this little crate and some foam, so I wrapped the foam in some red wrapping paper and made a cute little display for my marshmallow treats. Notice the basket in the background? I had a blue tutu that fit perfectly around it to hold all the *real* sparklers! Adding little themed titles to all the food added fun to the whole display. 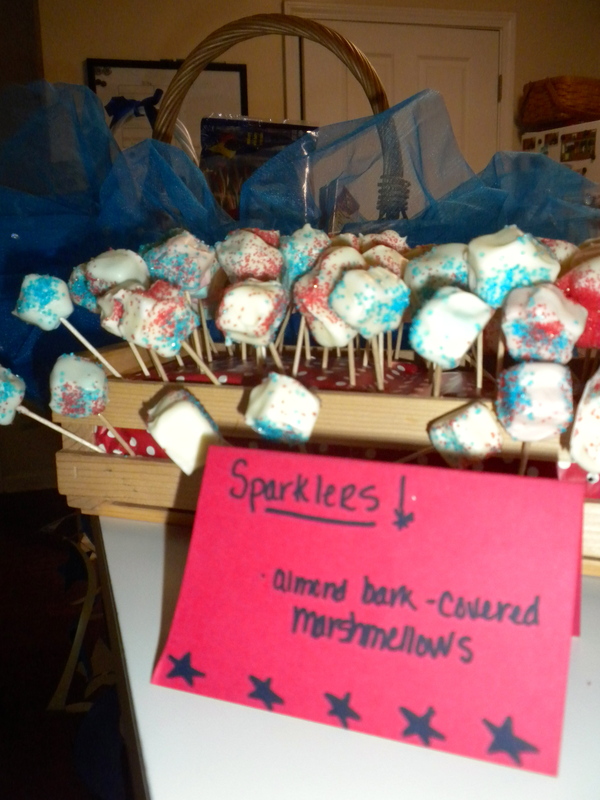 It’s seriously just some dipped marshmallows. I love cheesecake. I really wanted cheesecake. I found this recipe on pinterest, but modified it a little bit. Time was a big factor for me. 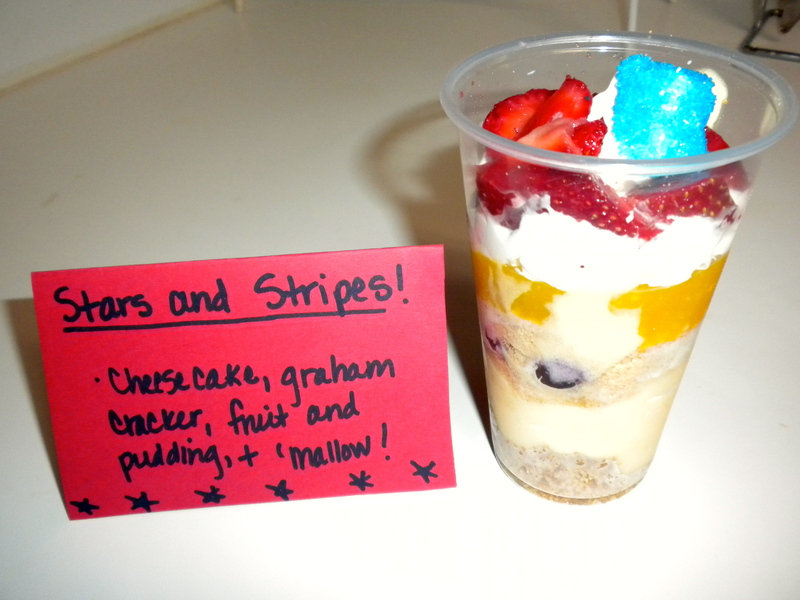 Here’s what I used for the layers: Jello no bake cheesecake dessert, graham cracker crumbs, blueberries, graham cracker crumbs, vanilla pudding, whipped cream, strawberries, sugar/chocolate dipped ‘mallow. 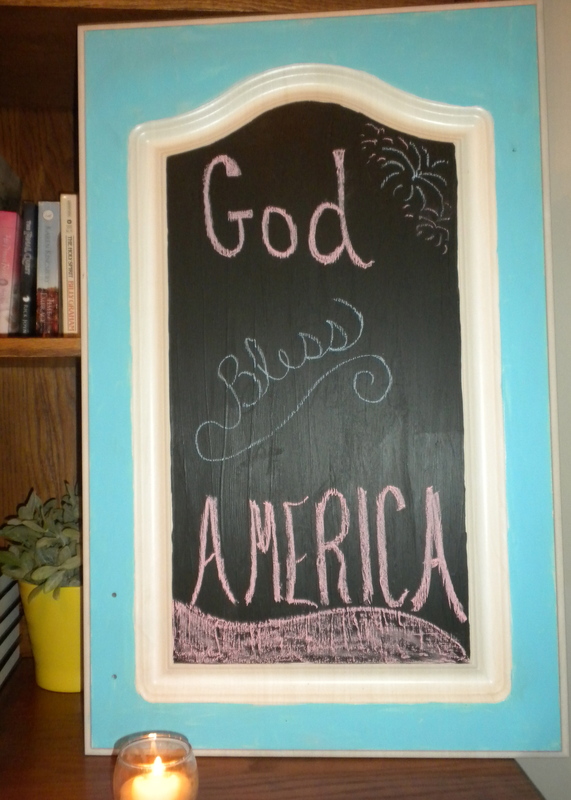 My roommate has this cute chalkboard with a blue frame, so it was really easy to add into the decorations! 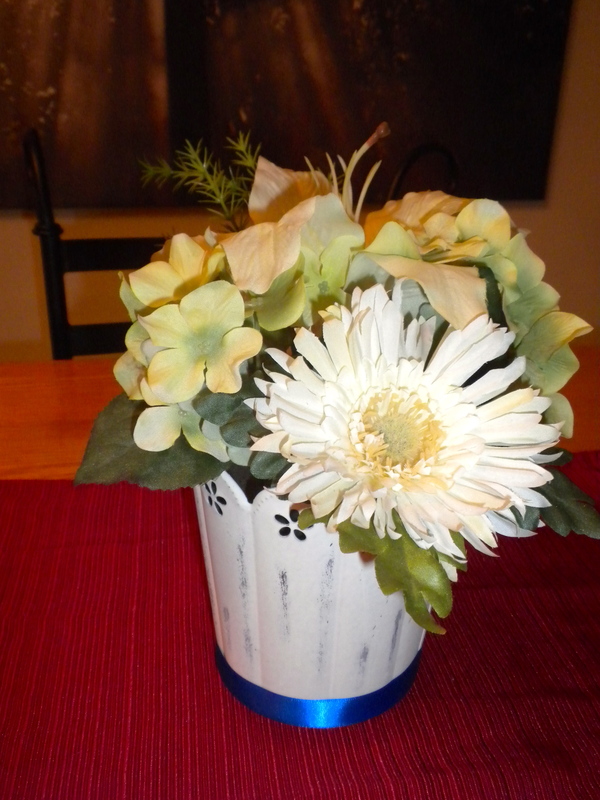 A white flower arrangement is handy to have because you can add it into any themed party. Add a ribbon and you’re good to go! I’ve used this for several parties, with different accents. Baseball and Fireworks are the two things I personally need on the 4th to feel complete. 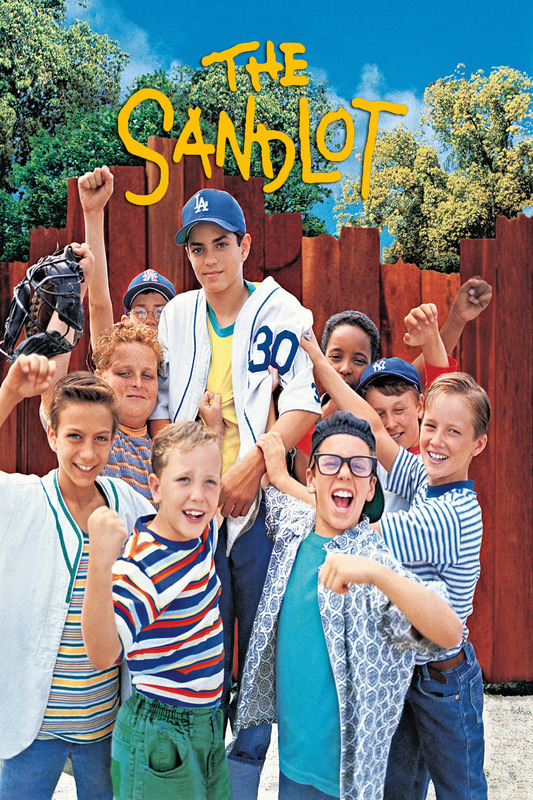 That’s just a personal thing, but watching “The Sandlot” was a great way to get both on a rainy day! We watched the fireworks with Benny and Smalls. 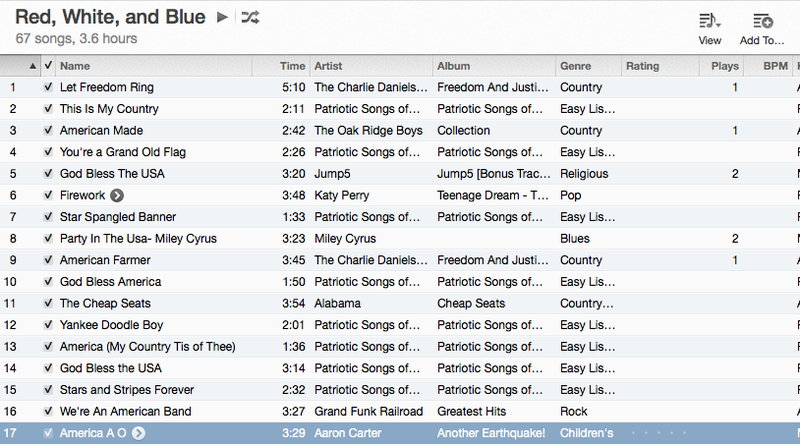 A themed playlist is always fun to set the mood! There’s a few games we always pull out for some indoor fun at any gathering. Fishbowl is one of them! You can make the game to fit whatever category you want. 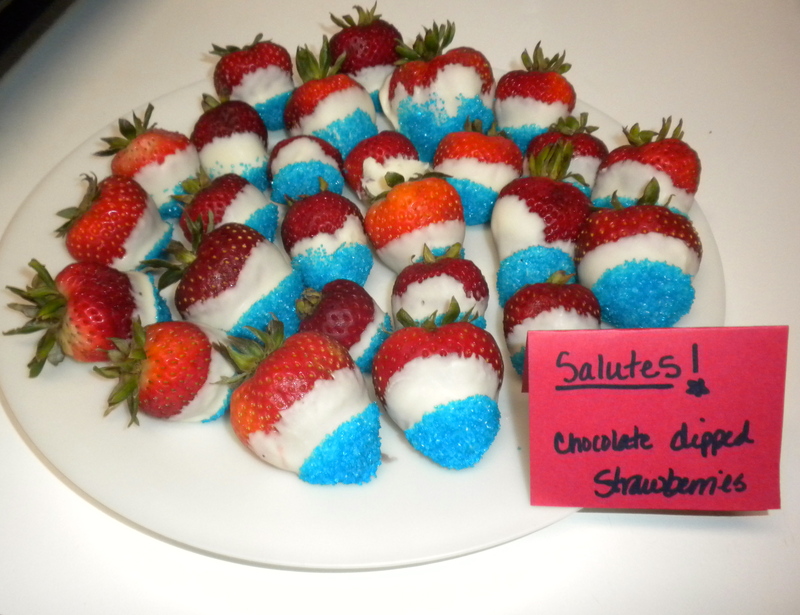 Of course, we picked “Patriotic” as our theme. 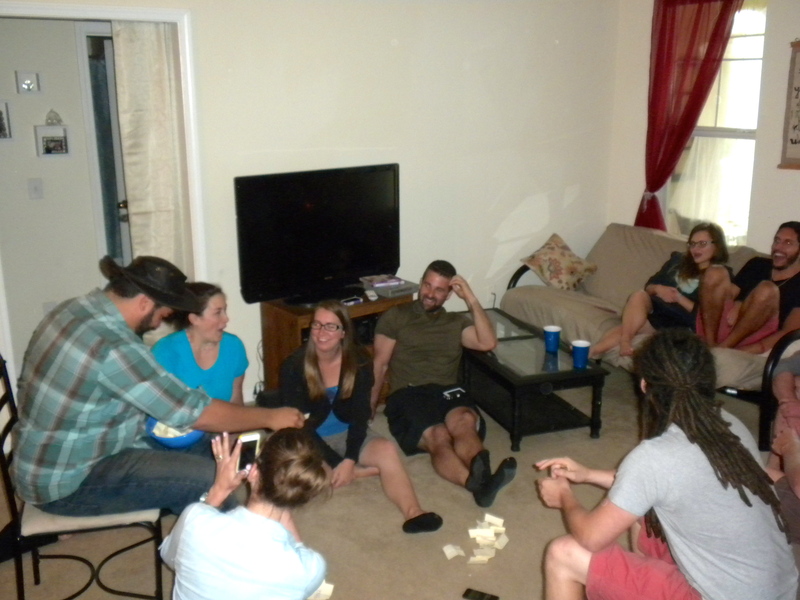 Charades, catchphrase, and telephone pictionary are great favorites for some big group fun!